Jersey’s history is written across the island, from a Neolithic passage grave (of which, more another day) to magnificent Medieval and Tudor castles. 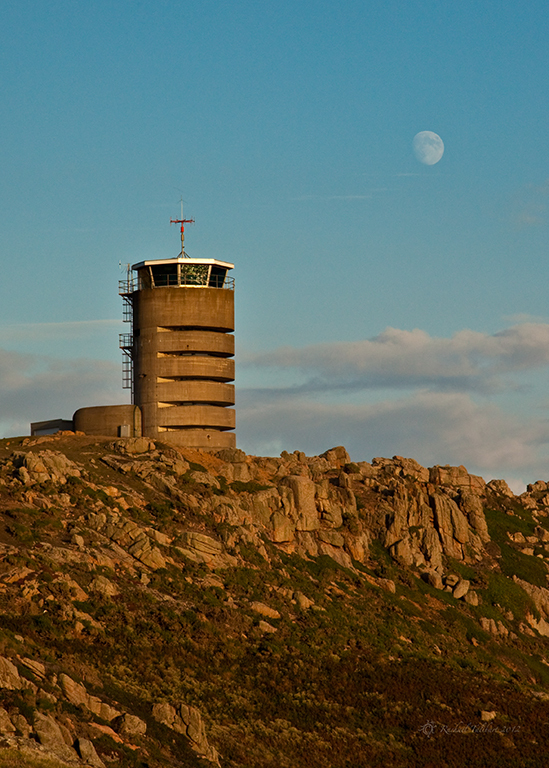 A more recent episode in Jersey’s history is also etched on the landscape; during World War 2, the Channel Islands were occupied by the German army. The islands were occupied on 1st July 1940 and were liberated more than five years later, on 9th July 1945. 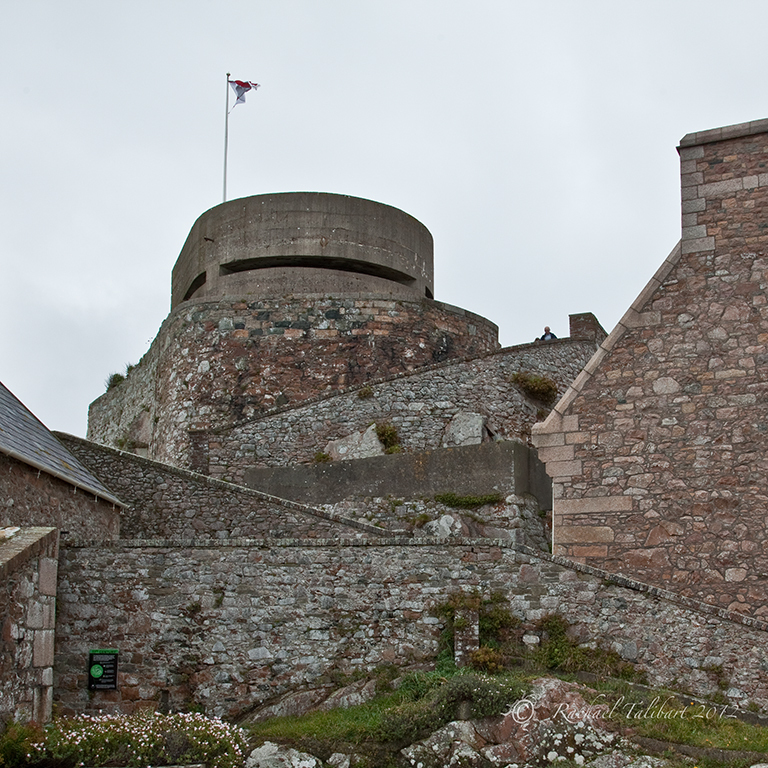 During the occupation, extensive defences were built all over Jersey, even on top of the Tudor Elizabeth Castle. 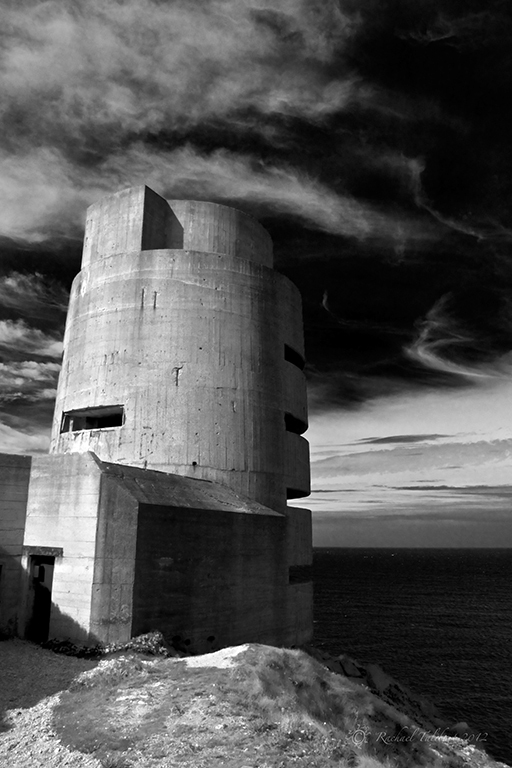 Numerous pillboxes, batteries and other defences were constructed, using slave labour from the defeated peoples of Europe. At La Hougue Bie, a moving display tells their story. 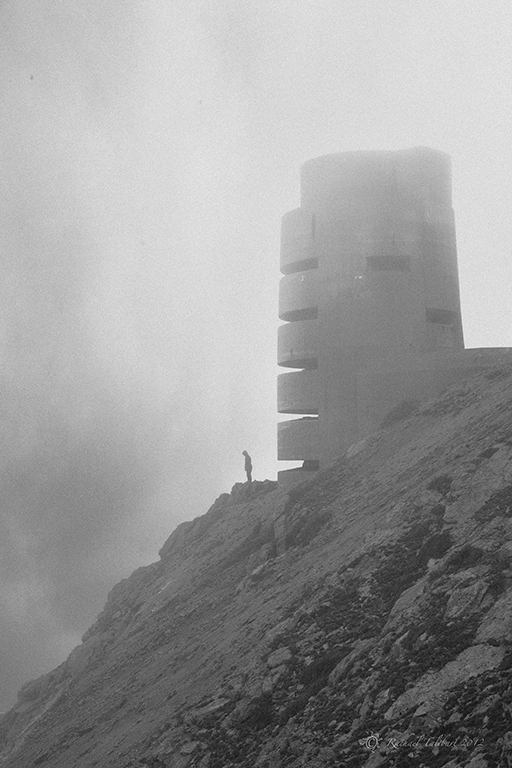 The defences included three enormous observation towers. Does this remind you of the cylons in original Battlestar Galactica, or is that just me? 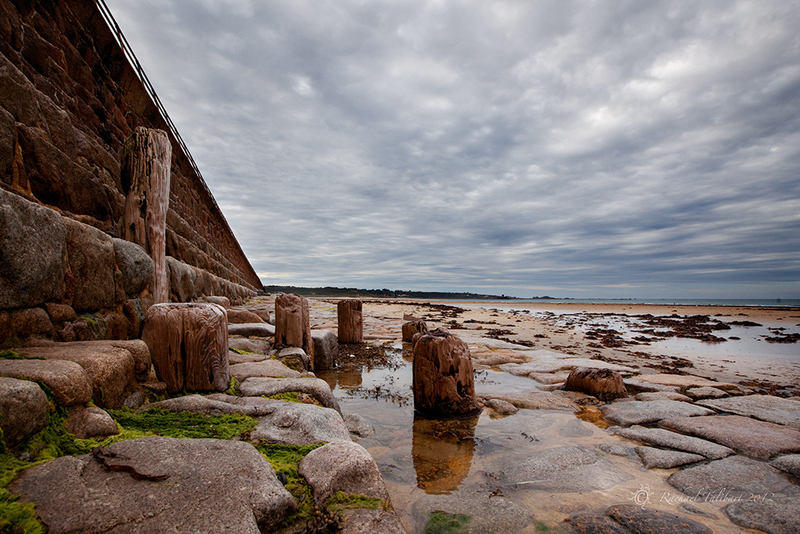 Although, in the immediate aftermath of the conflict, the impulse of the islanders was to bury the signs of occupation, more recently this part of the island’s history is being explored and preserved. Some sites are open, manned by volunteers, on certain days and the Jersey War Tunnels museum is always open and offers an informative, moving yet balanced account of the war years. 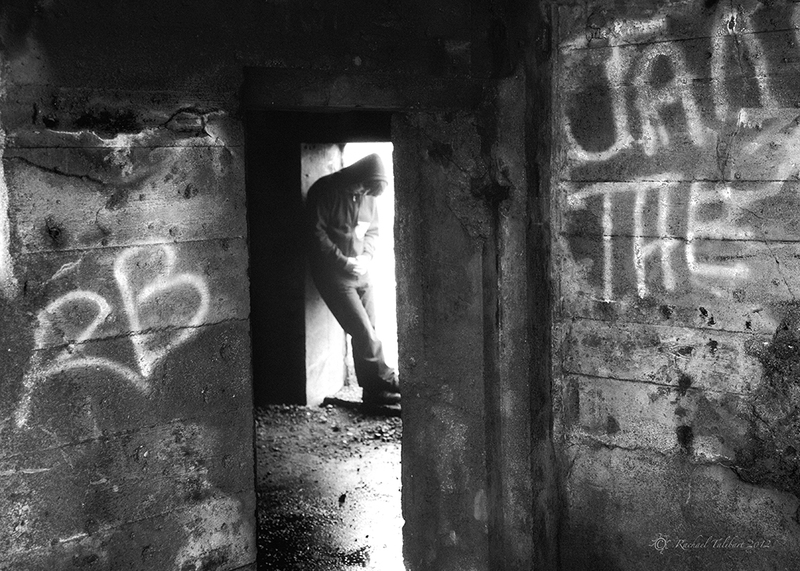 Most of the pillboxes and batteries remain derelict, however, stark reminders of this difficult and tragic time. 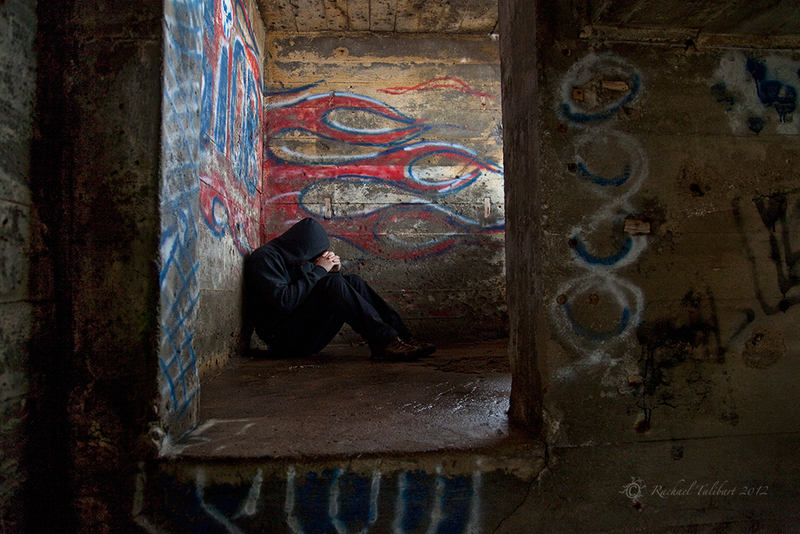 Needless to say, they also provide an opportunity to try some moody, grainy photography, with the assistance of willing teenage son in black hoody. 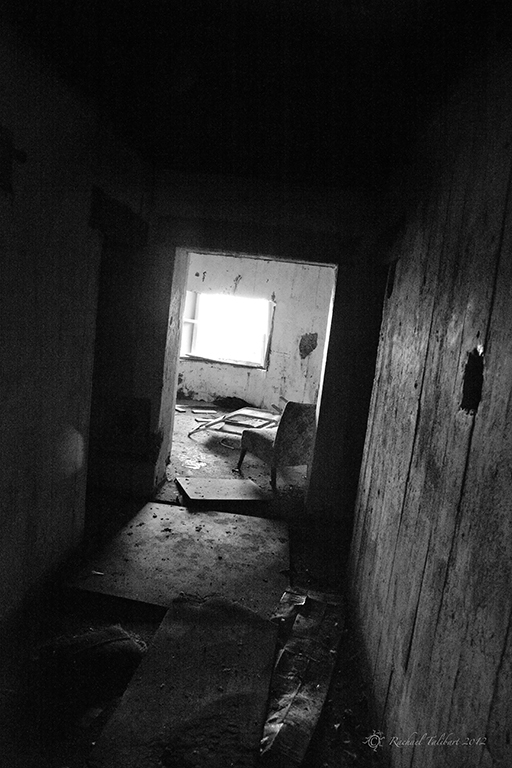 Some of the derelict structures have been used, although all signs of habitation seemed pretty old. 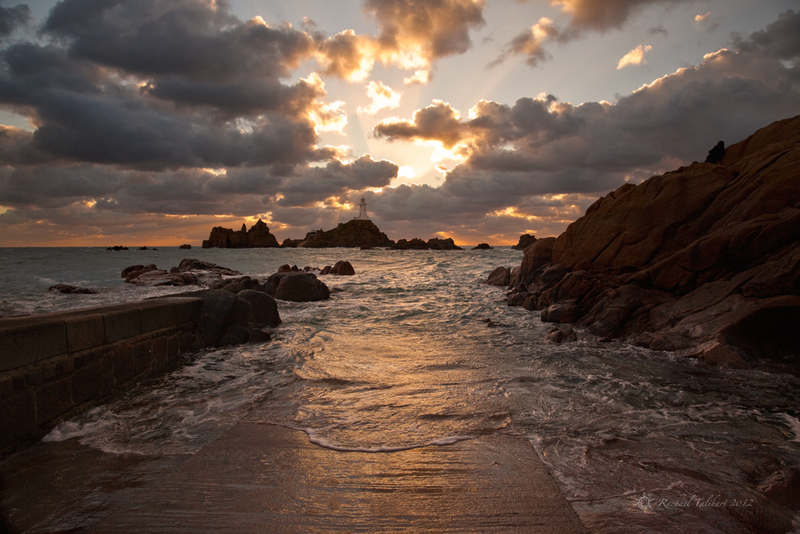 If you have read my blog during the last few weeks, you will already know that I have fallen in love with Jersey, one of the Channel Islands. One of the things I enjoy most there is the feeling of space and the peacefulness that brings after the rush and bustle of crowded Surrey. 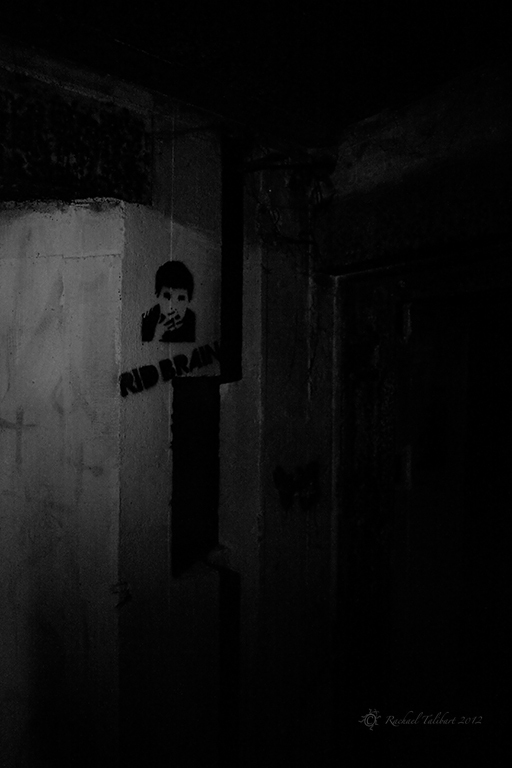 That is what I wanted to convey in this shot. I realise that of late this blog has tended towards the image-a-day style, which is not what I originally intended. I am going to try to get back to including longer, themed posts now that the nights are drawing in. Tomorrow, I will write more about my new favourite island. We’re back from another trip to Jersey. 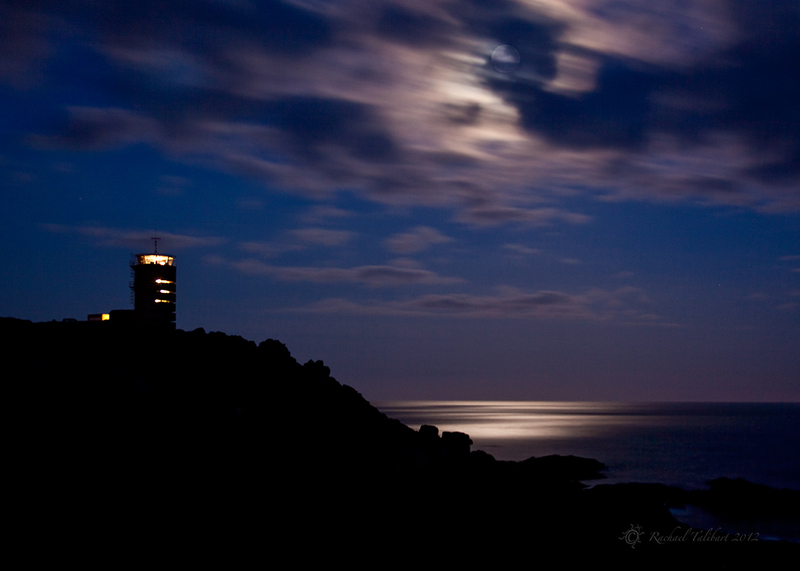 Here’s La Corbière in rather different conditions from my August sunset shots. I dragged my poor family down to the lighthouse every evening this week and the sky remained doggedly grey until yesterday when we were supposed to be going to the airport for our flight home. A small detour was begged and granted. I only had ten minutes, but made the most of them. 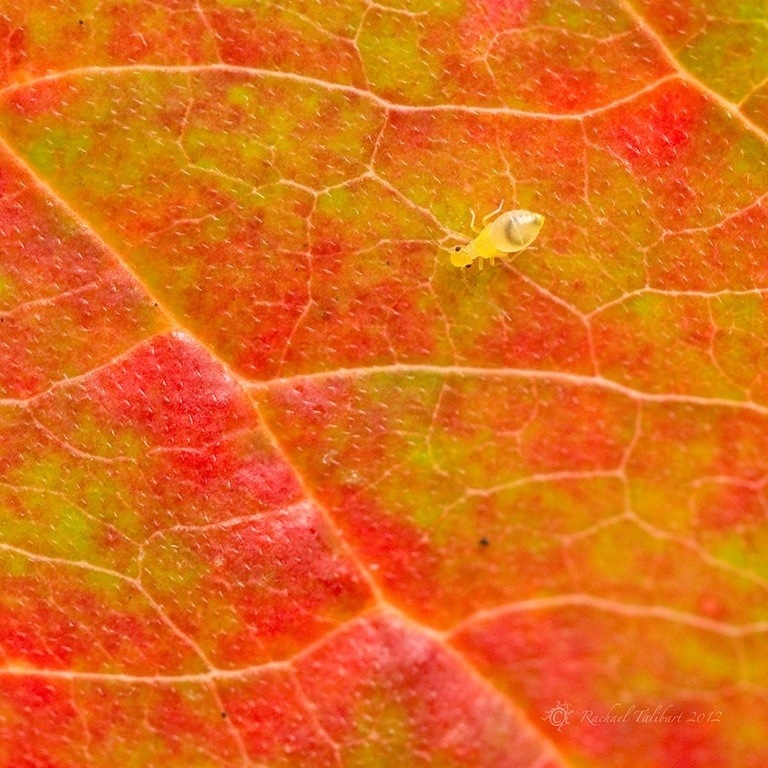 Autumn is spider time. The monster house spiders invade our homes and scare us arachnophobes silly. 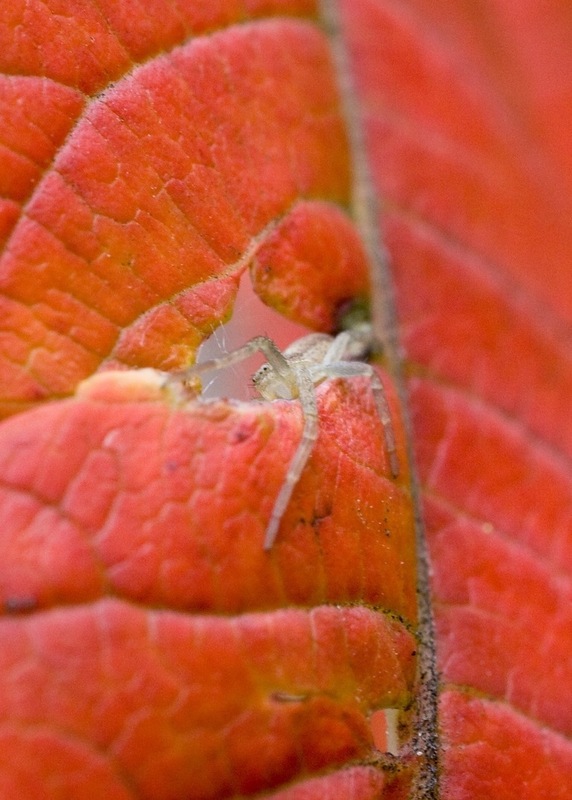 But in the garden, their smaller and far less intimidating brethren hang out on and even in Autumn leaves. The green orb spider didn’t stay long enough for me to get its legs in focus, but I like the shot anyway, for the colour. 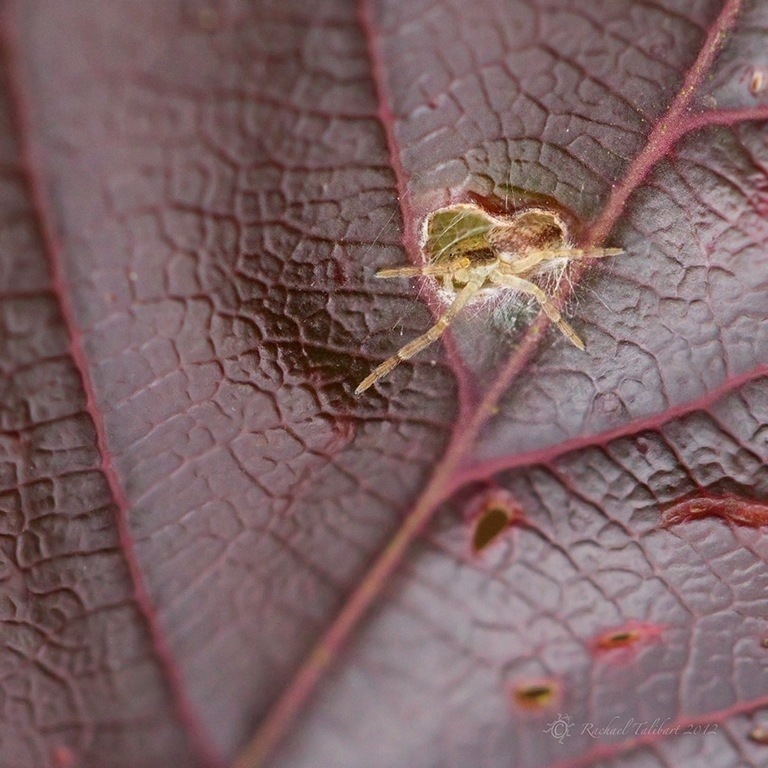 This next one, sitting in a hole in a cherry leaf, is probably the smallest spider I have ever photographed. The last shot is an old one but it fitted the post, so I thought I could get away with repeating it. We are away on holiday at present so I am not doing a very good job of keeping in touch with everyone’s blogs. I will catch up on our return. Is this not a cute little thing? 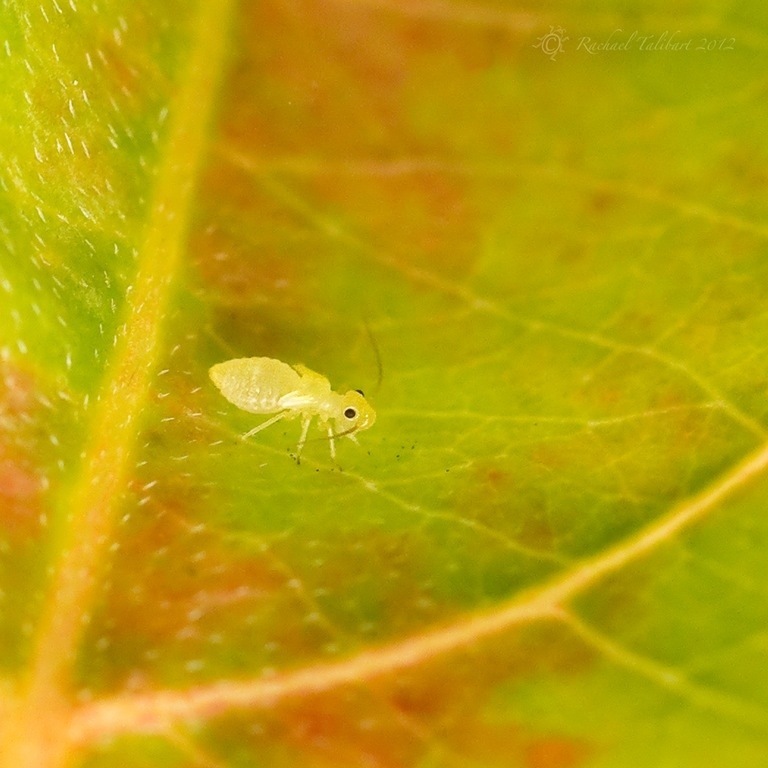 This is a psocid nymph, pottering about on a dogwood leaf. 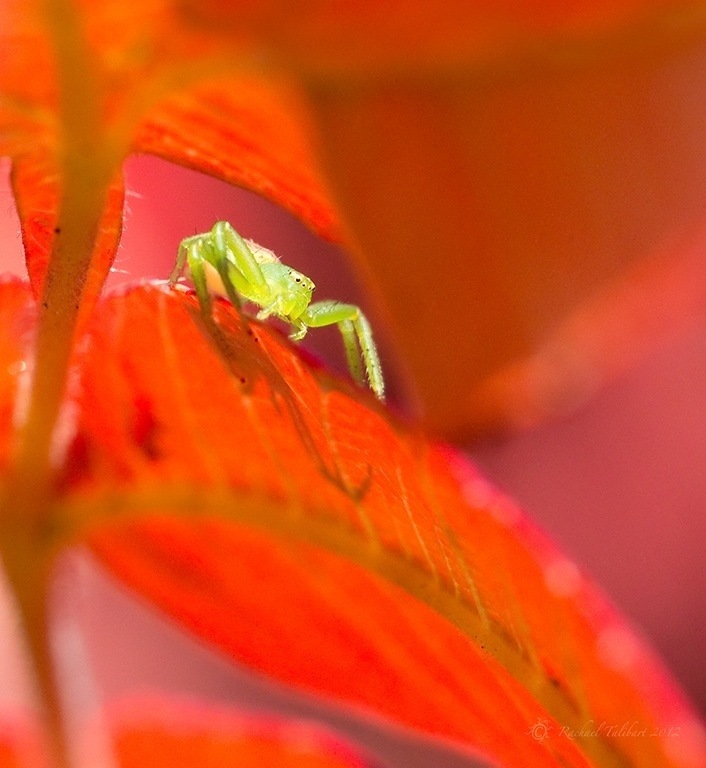 These are so small you hardly notice them, unless you spend a ridiculously long time staring at leaves, risking ridicule or at least benign amusement from your family. 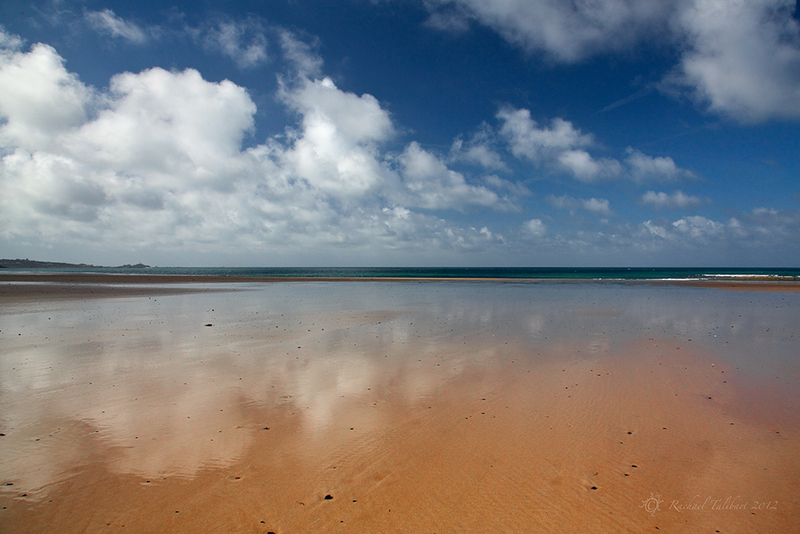 I love the space and solitude of St. Ouen’s beach on beautiful Jersey in the Channel Islands. This shot, believe it or not, was taken at 10.30am on August bank holiday Monday.